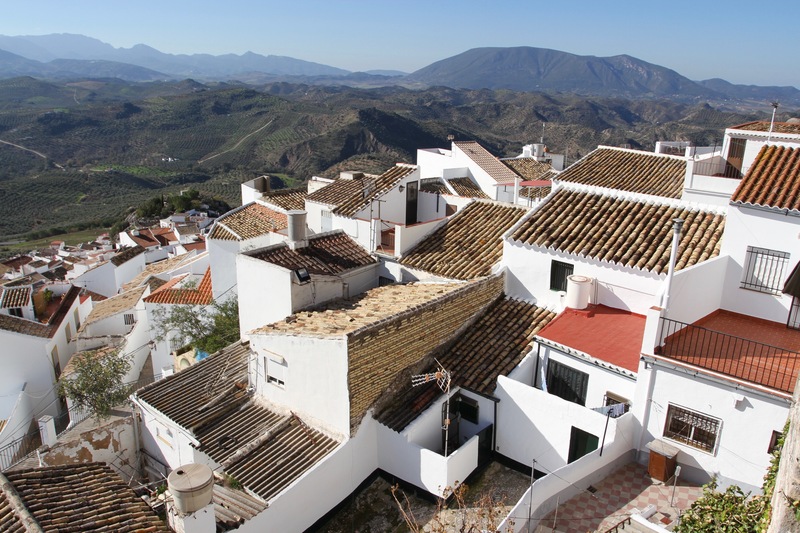 The hills of Andalusia are home to more than their fair share of breathtaking villages. 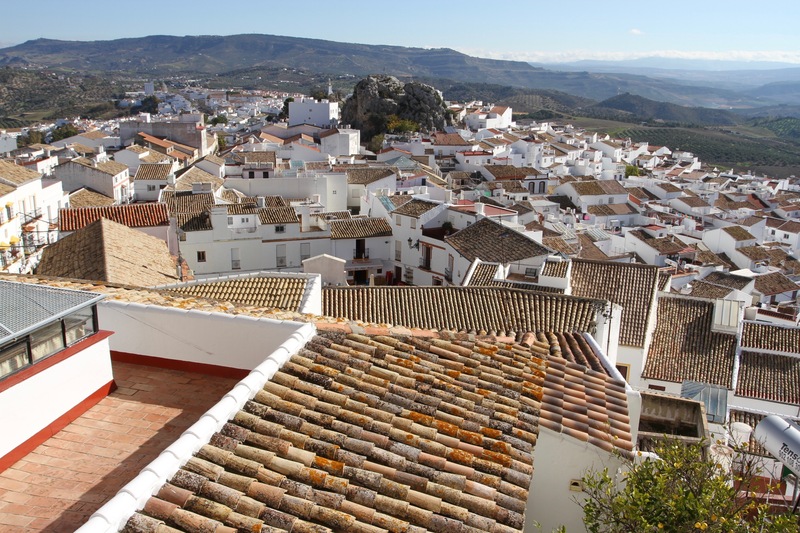 They frequently come with a picturesque Moorish fortress, a massive church towering over the whitewashed houses, and a long and dramatic history. 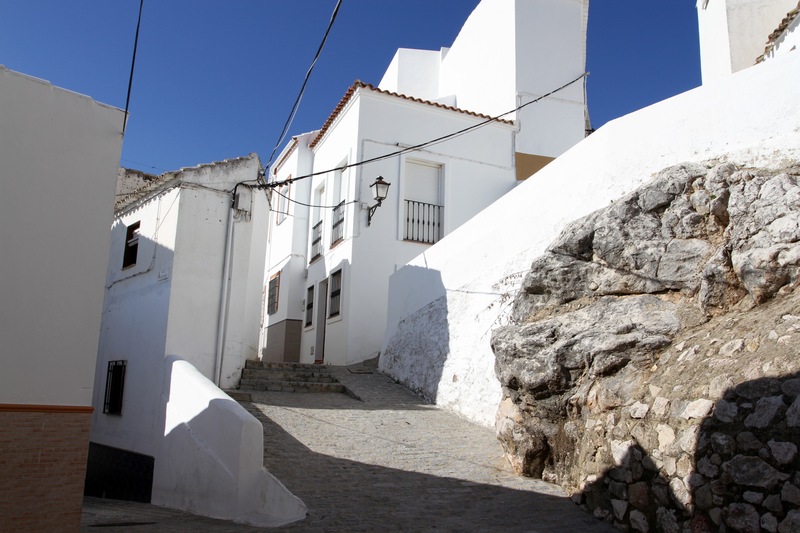 Drive the Sierra de Grazalema north of Ronda, and every turn of the road seems to reveal another beautiful village. For sheer dramatic effect though, it would be hard to beat Olvera. 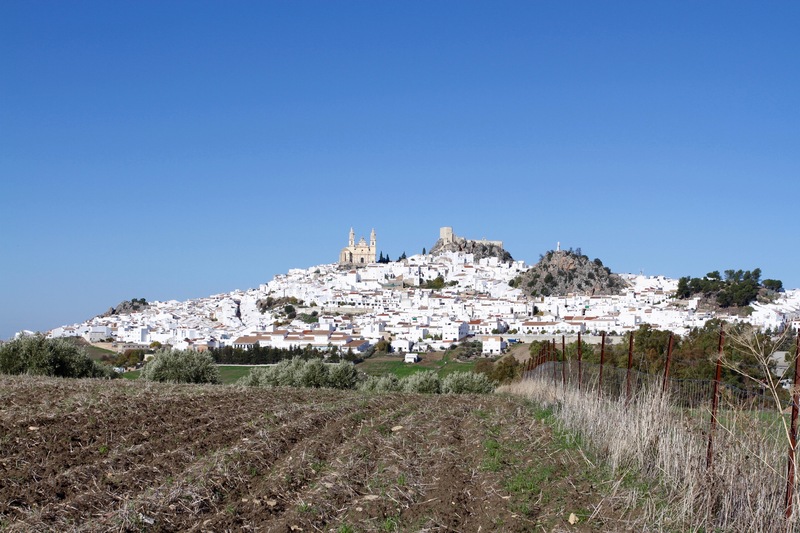 I’ve wanted to visit Olvera ever since I saw it in the distance while visiting Setenil de las Bodegas. 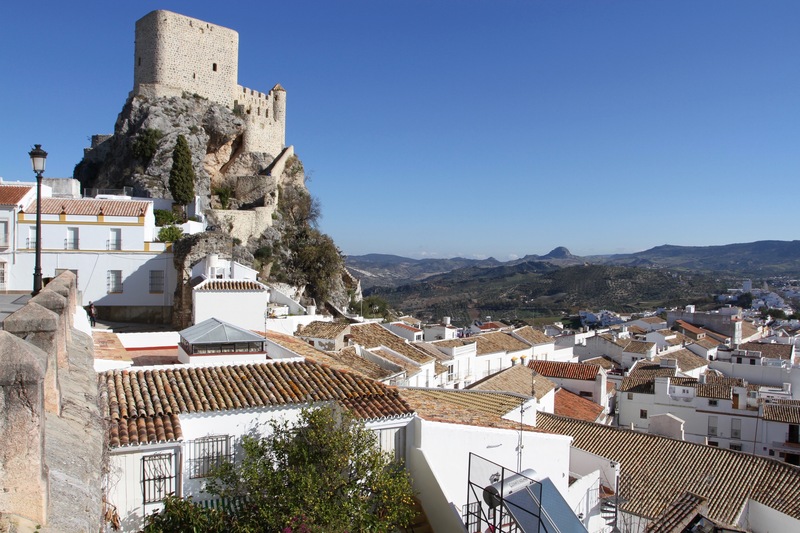 Its immense church and Moorish fortress perched on a craggy hilltop, and the white houses tumbling down the hillside surrounded by olive groves on all sides, make it hard to miss. 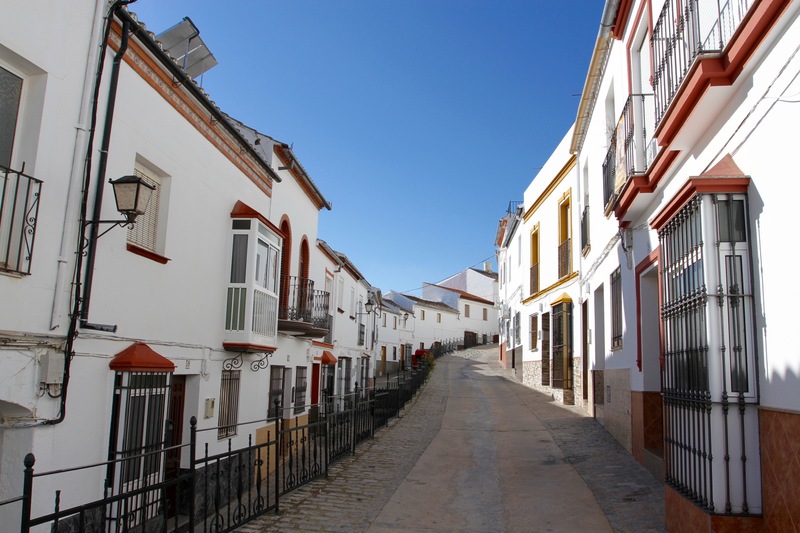 It’s a quintessential pueblo blanco, steep narrow streets offer glimpsed views of the church, fortress and surrounding rolling countryside. The picture-postcard-perfect surface hides a turbulent history though. In the 19th century it became notorious (as did many of these quaint mountain villages) as a hiding place for bandits and murderers. 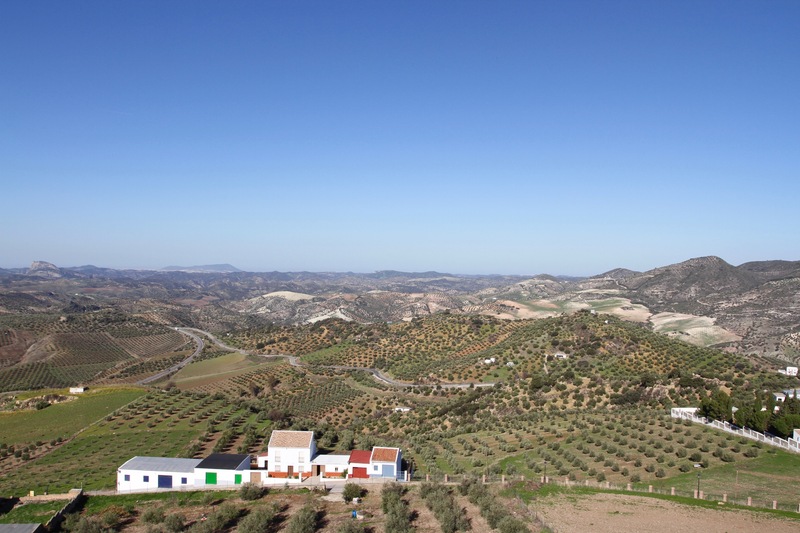 Far removed from the reach of the authorities, Olvera became the subject of an Andalusian saying, “Kill your man and flee to Olvera!” Things seem a lot quieter these days. 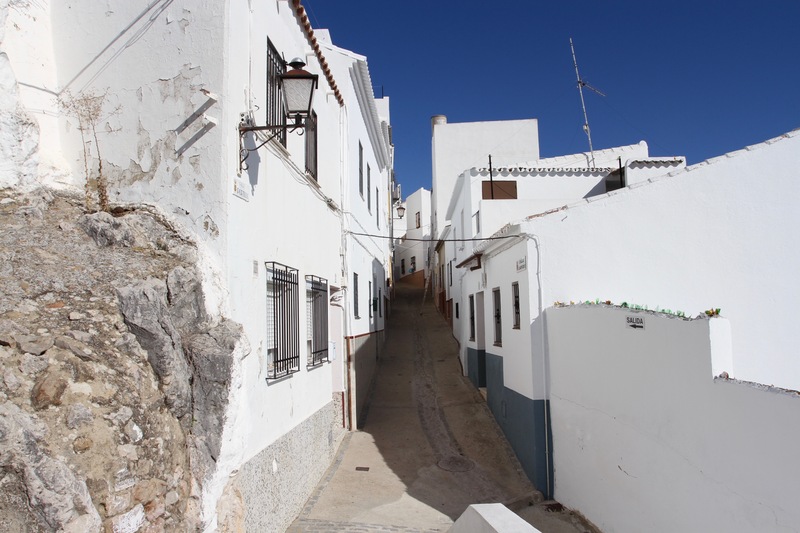 The town was probably founded in the 9th century as the invading Arab and Berber forces advanced across Andalusia. 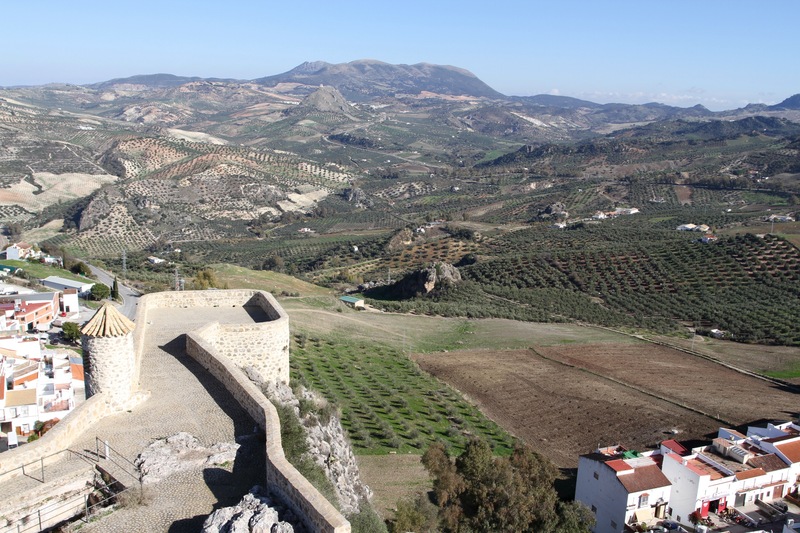 By the time the fortress was built in the early 13th century, the town had been absorbed into the Nasrid Kingdom of Granada. It was a strategic point between Muslim and Christian areas of control. 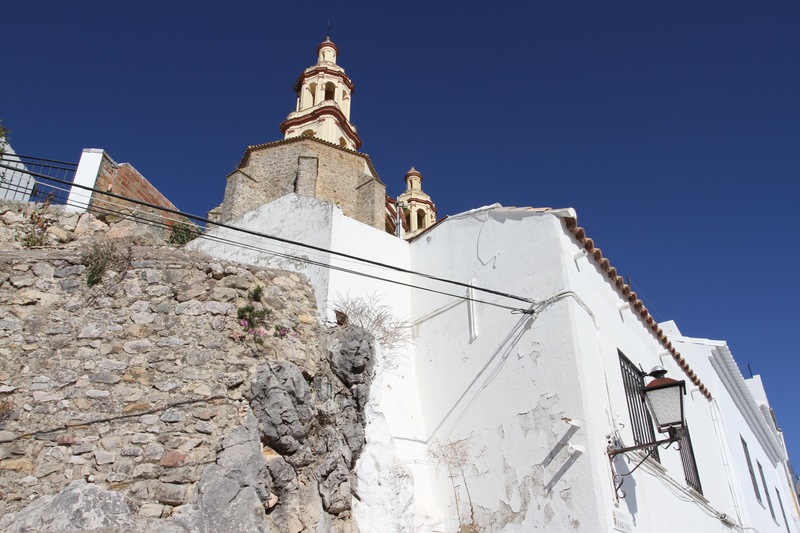 The town fell to the Reconquista in 1327, and became vital to the Christian advance on Gibralta. 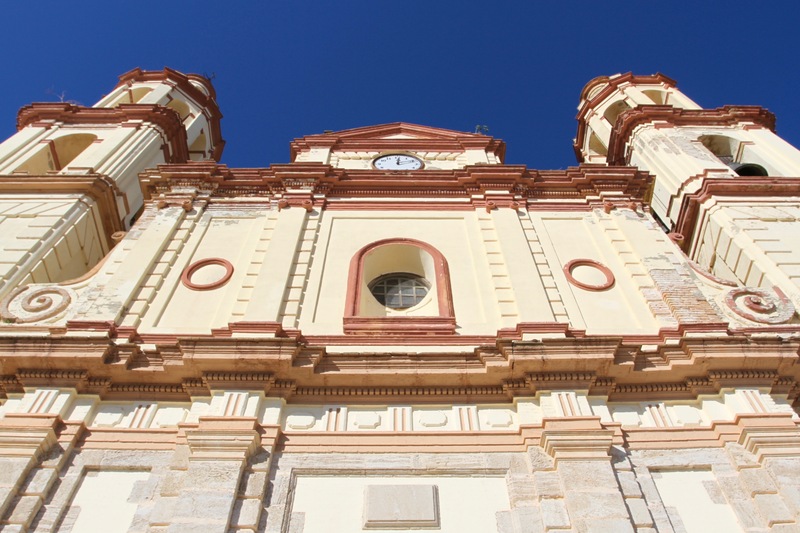 Its other claim to fame, is that Nicolás de Ribera, one of the original conquistadors who accompanied Francisco Pizarro on his conquest of the Incan Empire in Peru, was born here in 1487. Ribera was one of the ‘trece de la fama’, or famous thirteen, who defied orders from Spain’s governor in Panama to abandon their plans to conquer Peru. In 1535, Ribera was made the first mayor of the new colony’s capital, Lima. 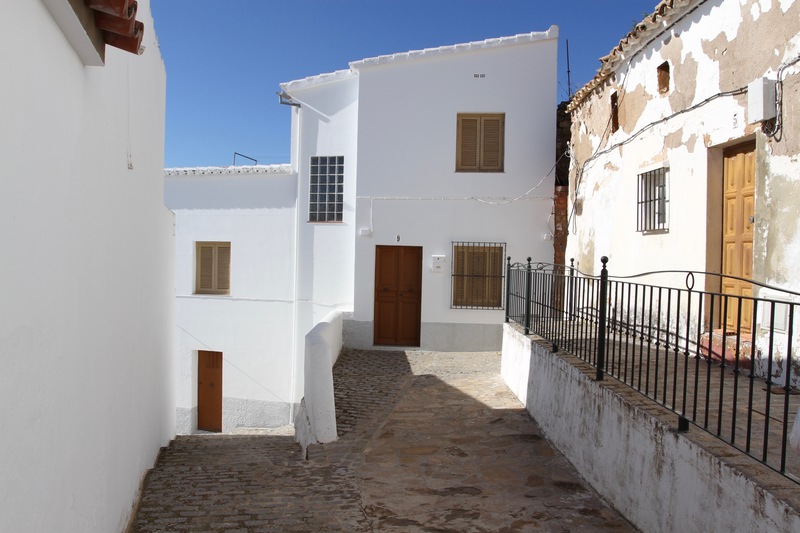 Today the town has a sleepy feel, especially out of season, and is a fabulous place to spend a few hours wandering the medieval streets. 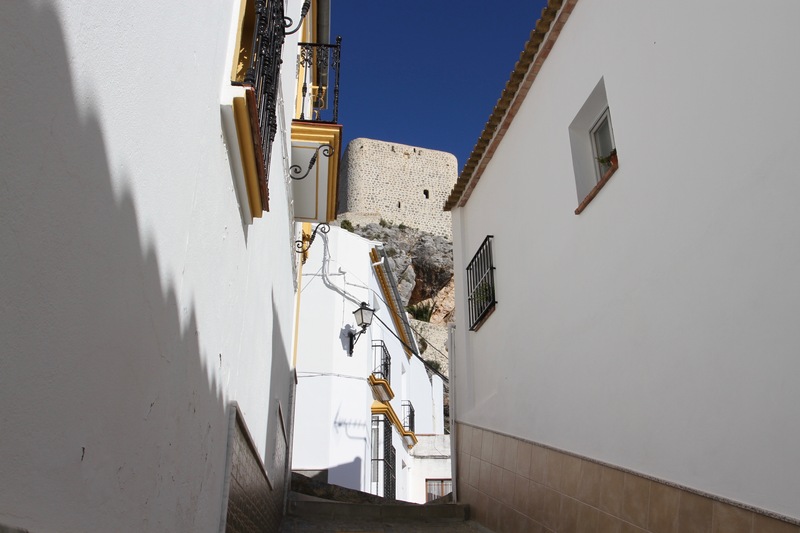 There was a market on the day we arrived and it took us an age to find somewhere to park, but once we did we headed upwards towards the church and castle. It’s hard to get lost, just keep going up and eventually you’ll find yourself in the Plaza de la Iglesia. 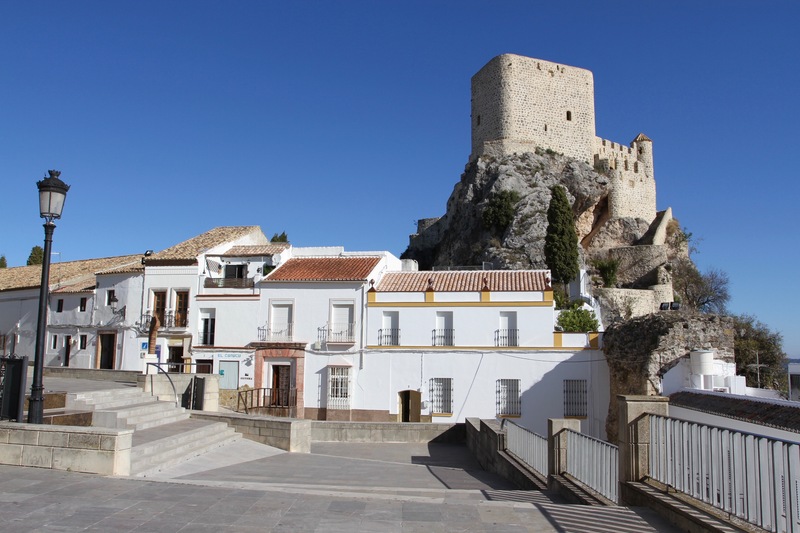 From here the views of the town and the castle are simply magnificent. We stopped for a breather and decided to have a look inside the church. The huge facade towers over you as you enter, and the interior is much bigger than I’d expected. 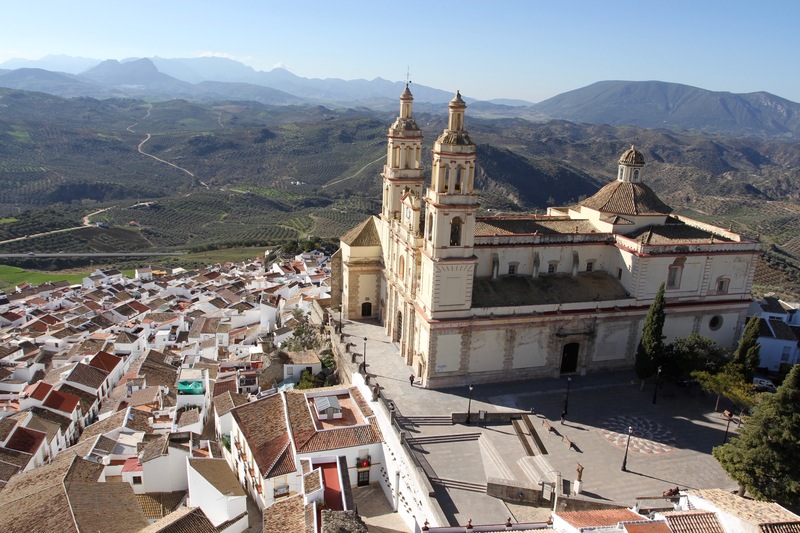 Having said that, I’m constantly surprised that even the smallest Spanish village will have a church that seems to have been built for a much larger community. The interior was more austere than a lot of Catholic churches in Spain, and it was nice and cool after our hike uphill under a hot sun. 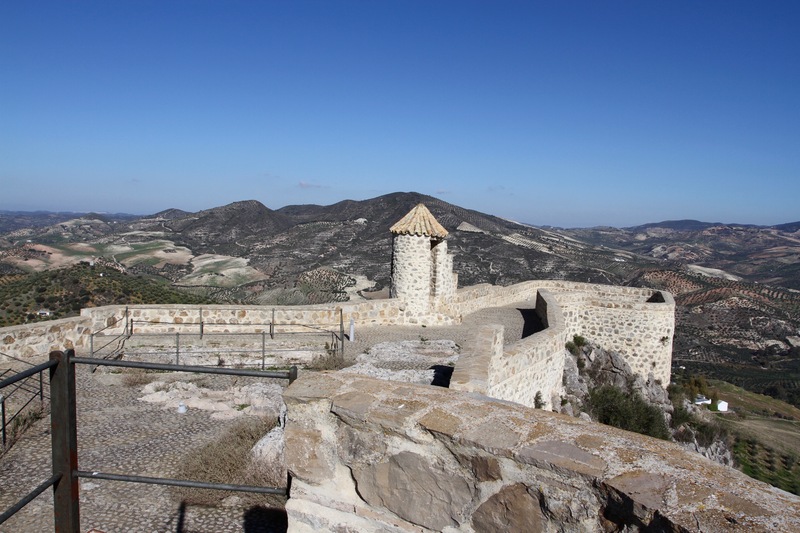 Afterwards, we made our way up to the castle, which offers a panoramic view over the town and surrounding countryside that is unrivalled. Standing on the ramparts, it was clear that attacking this place must have been near impossible. 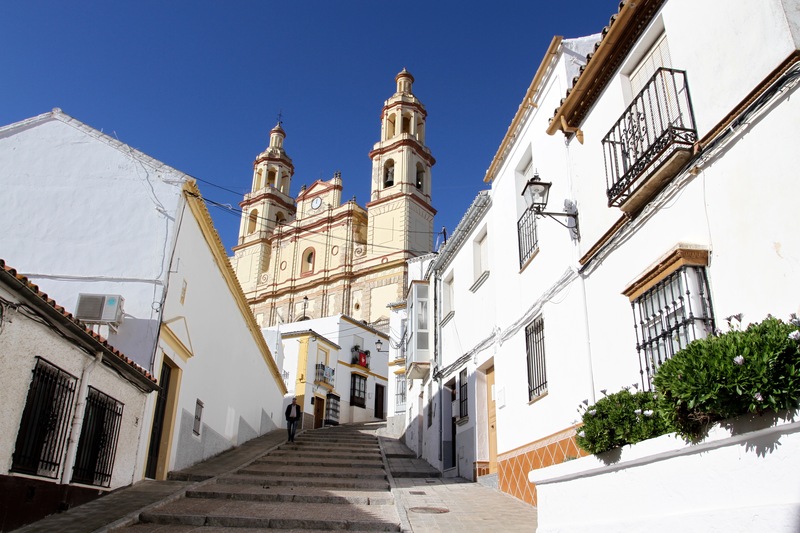 We were on our way to Seville, but before we set off again we walked through the maze-like streets, stopping in the pleasant Plaza Ayuntamiento for a drink and snack. Refreshed, we were back on the virtually empty highway towards Seville. Pueblo blanco indeed. So the Englishman did encounter the three mad dogs? And (mad) French bulldogs on top of it all. Brian, I was thinking of you when I included that photo. I have a Canadian friend with a French bulldog called Winnie. She’s a very cute mutt who would have enjoyed joining that photoshoot.